I'm sure that developing video games for Atari in the late 1970s was an incredibly stressful job. There are several stories circulating about how the software team used mind-altering substances to help them transcend to a higher plane of pixelated paradise. It seems that the hardware guys also loosened their ties and got into the spirit of things. How else can one explain the psychedelic Atari Video Music? This odd beast was styled to resemble a high-end stereo component and produced a kaleidescope of weird video effects that pulsed in time to your favorite Kraftwerk or Pink Floyd LPs. 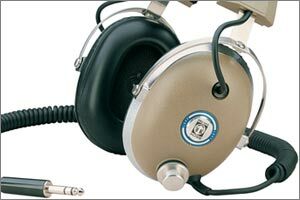 If offered a pair of RCA audio inputs and an RF video output, along with a series of buttons to select several profoundly named effects including Solid, Hole, and Ring. There is also an Auto mode, just in case the unit's owner is unable to escape the giant blue spiders long enough to press another orange button in a timely fashion. 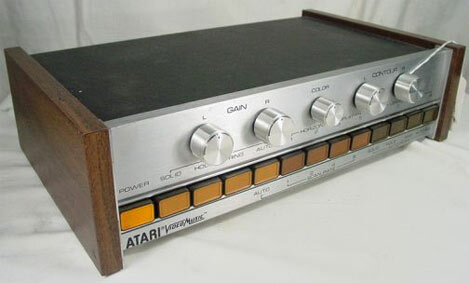 The Video Music was released in 1976 as an ill-conceived attempt to bridge the video gaming and home stereo worlds. It was a crude precursor to the modern visualization functions that are standard fare in every mp3 audio utility. 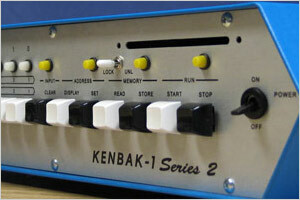 The design itself appears to be based on a custom digital IC driven by analog inputs. I'd love to take one of these apart to find out how it works, but they're extremely rare. In fact, the only one I've ever seen is lurking in Retro Thing author Bohus Blahut's living room, patiently awaiting the day that I dismember it with a screwdriver while he isn't looking.